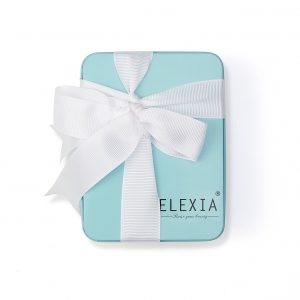 48-hour odor protection from an eco-friendly antiperspirant? That and a promise to keep you dry and smelling fresh. 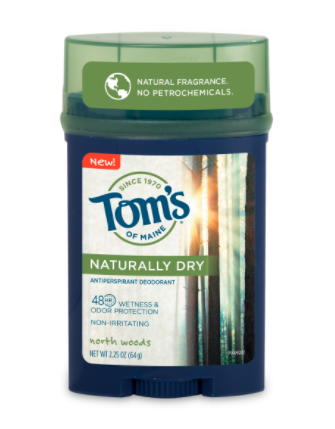 Best of all, new Tom’s of Maine®Naturally Dry North Woods Antiperspirant is made with sustainably sourced aluminium* so it leaves a smaller carbon footprint. 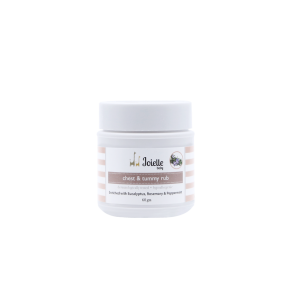 Did we mention it’s also non-irritating and is free of petrochemicals and artificial fragrances? Enough said. *Made with recycled aluminum versus virgin aluminum. Aluminium Chlorohydrate, Palm Kernel Oil, Stearyl Alcohol, Dicaprylyl Ether, Hydrogenated Soybean Oil, Hydrogenated Castor Oil, Talc, Natural Fragrance, Olive Leaf Extract, Maltodextrin.